Unilife is a medical device company with a disruptive technology in sync with global trends in drug delivery. Concurrent with its listing on NASDAQ, assist it to achieve its mission of becoming a global provider of medical devices to enhance and save lives. Increase brand awareness and generate demand from pharmaceutical and healthcare equipment customers and end users for the company’s proprietary range of clinical and pre-filled retractable safety syringes and medical devices. 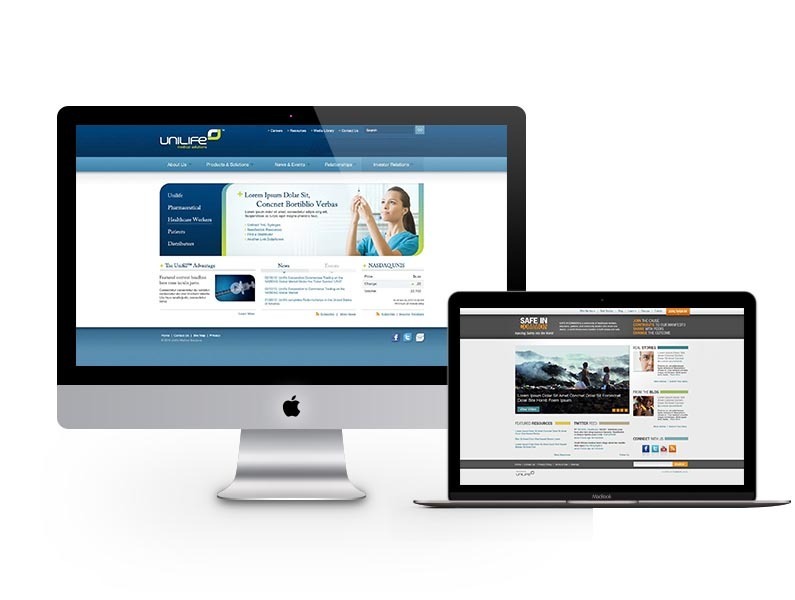 To support its listing on NASDAQ, we designed and built Unilife’s website to engage prospective customers, business partners, employees and investors. We then developed the concept, name, website and surrounding social media for new SAFE-IN-COMMON global community (uniting multiple stakeholders around injecting safety into the world). 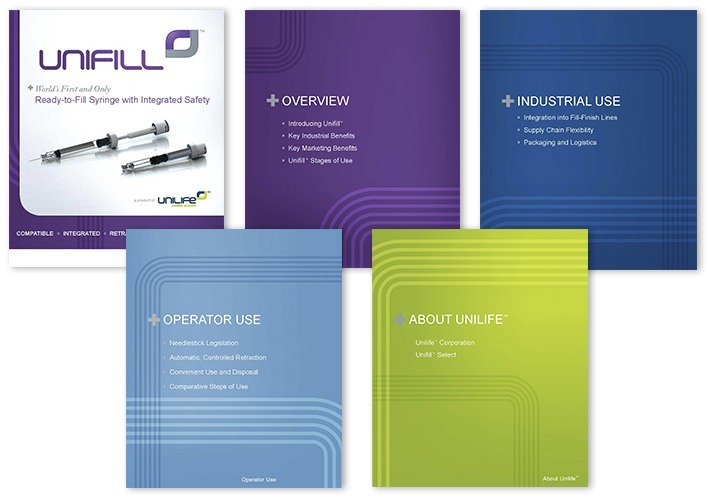 Range of corporate materials to support NASDAQ listing as well as product-based materials targeting each of Unilife’s key audiences. Under enormous time pressure, fulfilled all sales and marketing needs in time for NASDAQ launch, events and follow-on prospective client meetings and presentations.